Erina Saito is an artist who interprets music with sensitive colors and emotions throughout her passionate and captivating performances. 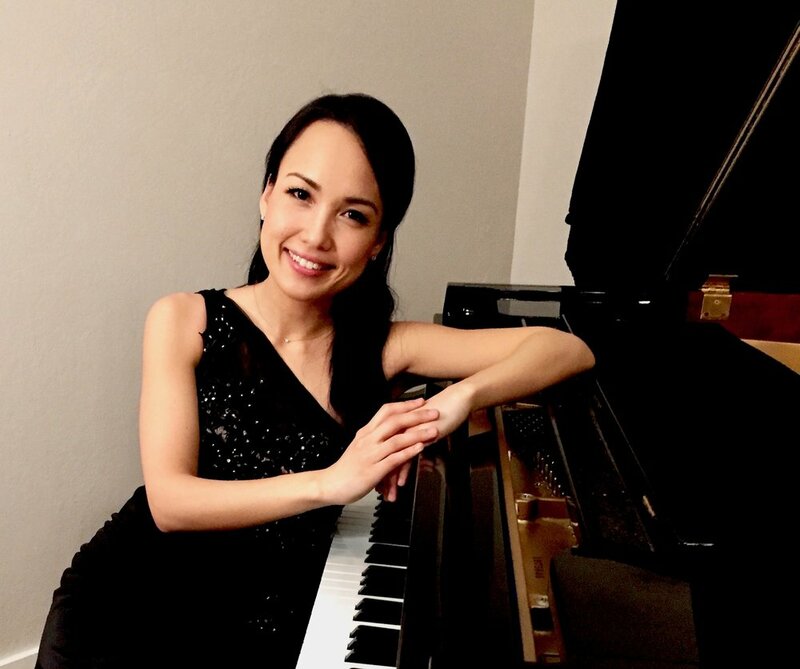 A native of Tokyo, Japan, Ms. Saito is an international soloist and collaborative pianist who has performed in Japan, the United States, Italy, and most recently, in Switzerland. Ms. Saito performed numerous premiers and she most recently collaborated with Citywater, a modern chamber ensemble for Festival of New American Music at Sacramento State School of Music in 2017. She was featured as a soloist to perform Grieg’s Piano Concerto with the Sacramento State Summer Symphony and the Sierra College Wind Symphony. She was also chosen to perform as a soloist and also as a collaborative pianist in the very first Alumni Concert Series at Sacramento State School of Music. Ms. Saito is currently a faculty member at Sierra College and the artist faculty of the Orfeo International Festival. She is also a member of the National Music Honor Society, Pi Kappa Lambda and the Music Teachers Association of California. Ms. Saito is regularly invited to adjudicate music competitions and festivals. She received her Masters degree in Piano Performance at Sacramento State School of Music. Ms. Saito began studying piano at the age of 4 and composition at the age of 7. Throughout her childhood in Japan she has received numerous compositional prizes including a trip to Finland for her very first composition. Since her arrival to the United States, Ms. Saito has won numerous scholarships and awards. For instance, she was the winner of the Sacramento State Concerto Competition in 2012 and received an honorable mention of the UC Davis Concerto Competition in 2013. She was also the first prize-winner of the Student Performance Artist Competition for the Festival of New American Music at Sacramento State in 2012 for playing Richard Cionco's composition "Four Postcards" in which "R street" was dedicated to her. In addition, she was the winner of the same Student Performance Artist Competition the previous year 2011, and a Saturday Club Scholarship winner in 2010, as well as the winner of the Student of the Year Award for Sierra College's Music Department in 2008. Ms. Saito has also performed with the Sacramento Philharmonic, the California Youth Symphony, Camellia Symphony Orchestra, and the Sacramento State Symphony Orchestra. As a collaborative pianist of The Paper and Blood Quartet, her group won 1st prize for the A.J. and Susi Watson Student Chamber Music Competition Scholarship. The previous year, her piano trio, Spaghettorio, was announced as the honorable mention of the same competition. Ms. Saito has also actively performed in master-classes for renowned chamber music groups, such as the L.A. Piano Quartet, the Ahn Trio, and the JACK Quartet.